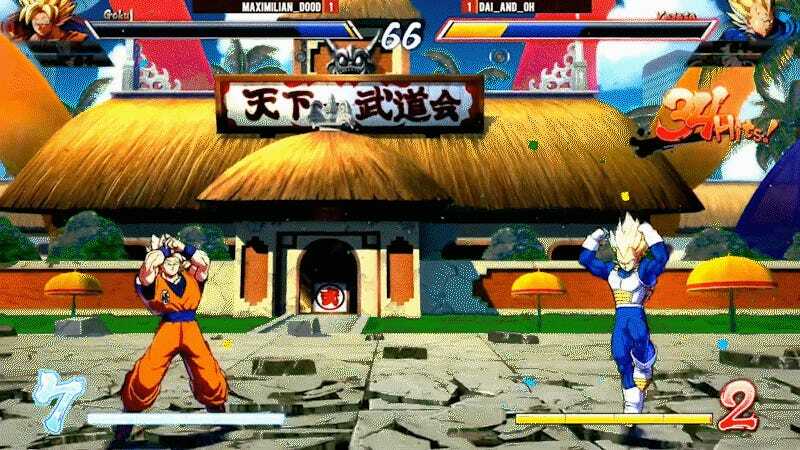 This past weekend, competitors at Evo 2017 got to put the upcoming Dragon Ball FighterZ through its paces in a side tournament. From tons of excellent, flashy super moves to impressive tag techniques, players showcased the surprising depth in this six-fighter demo. A few pros were kind enough to give us their detailed opinions on the game, but some incredible moments also happened on stream. Here’s a few of our favorites. A 3-on-3 fighting game with tags and assists is likely to have some flashy, screen-covering supers, and Dragon Ball FighterZ is no exception. Both players burn through bar like crazy in this clip, and you get a sense of the variety of options characters have, from Frieza’s Death Saucers (which naturally come back and nail him in the face) and wake-up blast to Goku’s awesome juggle into a Kamehameha. Goku’s initial combo you see at the start was fairly common, a flurry into an air juggle and a quick Kamehameha to finish it off. What’s interesting is that the Frieza player, on the way back to the ground, catches Goku calling in his teammate Cell for an assist and juggles him a bit, putting some damage onto him. It’ll be interesting to see how players punish greedy assist usage. While most of the moments so far have been impressive, this one has some very intriguing mechanical implications. Dai shows up once again with a team of Frieza, Vegeta and Cell, and after knocking his opponent’s Vegeta into the ground and launching a Death Ball at him, tags in his own Vegeta to launch a super, knocking the opponent back into the ball for even more damage. Though the weekend is over, you can still catch all the action in Bandai Namco’s Twitch archives here, so you can study up for the coming closed beta.